ABOVE LINKS ARE FOR REGISTERED FAMILIES ONLY AND TO ACCESS THEM YOU MUST LOG INTO THE FMZ FIRST. The code is inside the songbook cover. 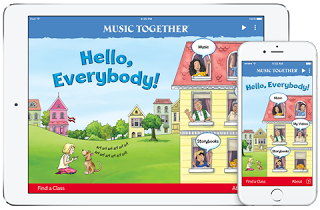 Each semester you enroll in a Music Together® class, you will receive a color, illustrated book of songs, with a code to unlock the songs on the inside cover, from the Family Music Zone and Hello Everybody app/ a CD/ and Family Resource Guide, "Music and Your Child". At the Family Music Zone and Hello Everybody app, you'll be able to download or stream the songs from the semester's collection and explore fun and educational content created just for you! Additionally you can download the music notation for songs and order a second CD for free, with shipping. Song activities, videos and more extend the learning and fun! Membership in the Music Together community is far more than a once-per-week fun activity! To access the Family Music Zone, you just need to visit www.musictogether.com/account and create an account using the code found on the inside of your Songbook cover, which you will get on the first day of class from your teacher.